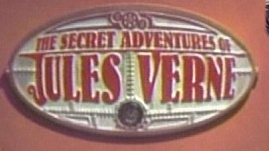 What darkness lurks in the heart of Phileas Fogg? Jules would love to find out. This is intended to be a kind of generic behind the scenes thing, that could occur in between any of the episodes without affecting any of them... although, based on what I saw last night, I'd place it before "Lord of Air and Darkness." There were definite slashy overtones there... *g* And I repeat, it's very much a work in progress. "This makes for an interesting love triangle: Passepartout loves Phileas, who loves Jules, who doesn't yet know it. I wonder where this leaves Rebecca? Oh, I know! She's chronicling the whole thing for some underground Victorian Ladies' slash magazine; with names and certain facts changed to protect the gentlemen in question, of course."